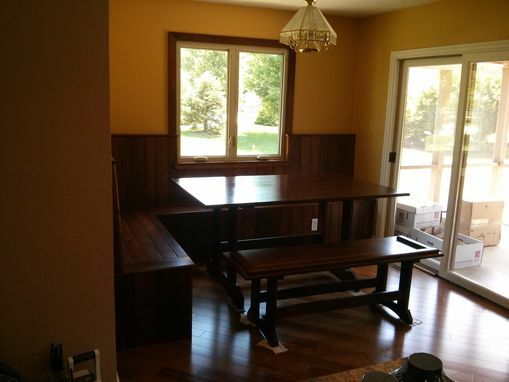 When you have limited space in your kitchen, but want to have a functional dining room, a breakfast nook often fits the bill. 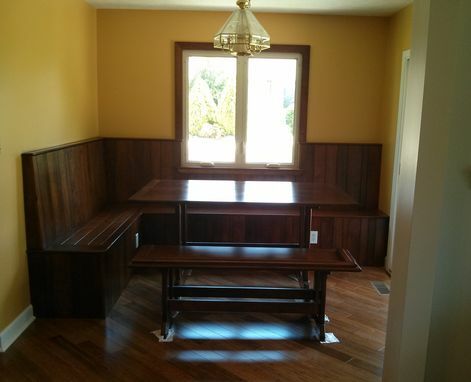 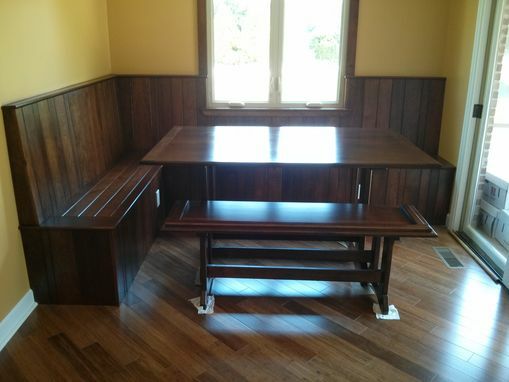 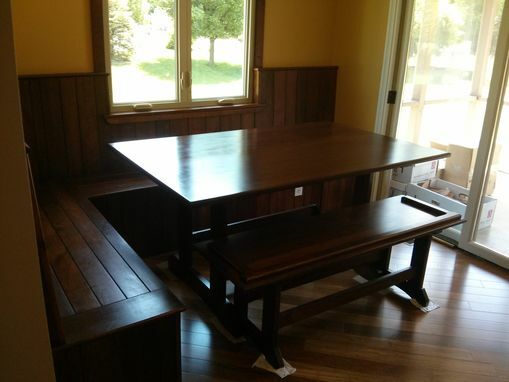 This piece included an L shaped built in bench, a free standing bench, and a Trestle table. 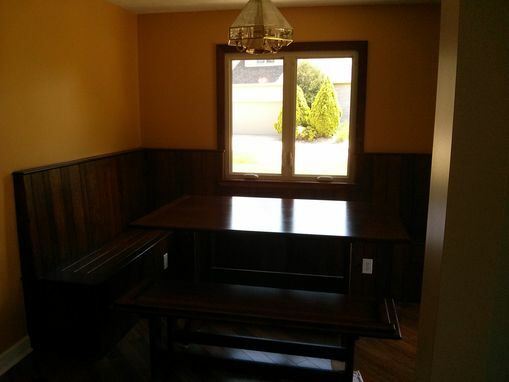 I also installed Cherry trim on the window to draw the room together.